I love teen team books. I’ll admit it. There’s a reason so much popular fiction is about teenagers — being a teen is the great equalizer. Young Justice, Infinity, Inc., Young All-Stars, Young Avengers, New Mutants, New Warriors (lots of “new” and “young” in there), I’ve enjoyed them all. They all, by and large, have the same premise: teens with powers try to do good. But the Teen Titans were different. The Teen Titans were sidekicks. You think you have problems with your parents? Imagine if you were raised by Batman. Or Green Arrow. Try being mad at the woman the world thinks is perfect. Try living in the shadow of the king of Atlantis. And it didn’t get any easier for them when they stopped being sidekicks. Wonder Girl became Troia. Speedy became Arsenal and then (thankfully) Red Arrow. 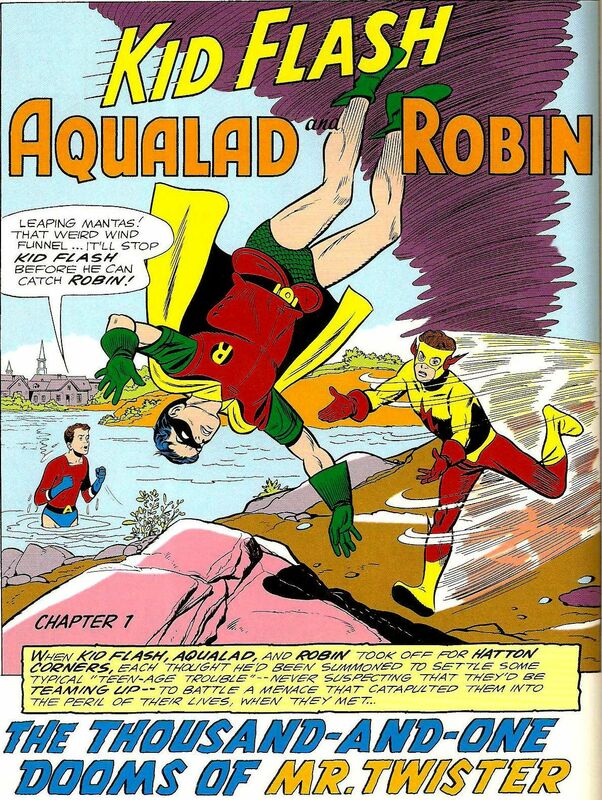 Aqualad became Tempest. Robin became Nightwing. Oh, and Kid Flash actually replaced his mentor and became The Flash. 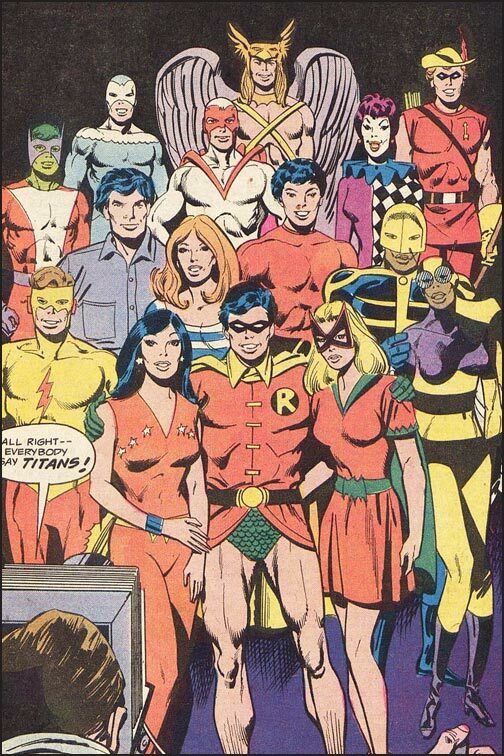 I know it’s crazy, but the Teen Titans, unlike every other character in superhero comics, actually grew up. Given how rare it is to see actual change in Big Two comics, this made the Titans unique. It had been two and a half years since Marvel had started the “Marvel Age of Comics,” and DC was still your father’s comic book company. There were a lot of sad attempts at being hip from DC in response to Marvel, and it wouldn’t be a stretch to say that Teen Titans was one of them. It was easy to see why DC wanted this group to happen. They had a leg up on Marvel in a very specific area: teen heroes. Marvel had Spider-Man, sure, but DC had teenage superheroes running around since 1940. It seemed like every time DC introduced a new mystery man, he had a teenage sidekick jumping off rooftops with him. A book about a team of teens would surely set DC apart and maybe even appeal to the new generation of comic book fans that Marvel seemed to concoct out of thin air. The problem was that DC’s teenage superheroes were kind of lame. The Teen Titans was DC’s effort to make their most prominent teen heroes cool. That’s not easy task when you’re filtering teen culture through the lens of middle age creators — and it shows. That first Teen Titans series is full of Bob Haney’s overblown attempts at cool kids dialogue and hip references (their second appearance had to do with the sensational musical group The Flips). 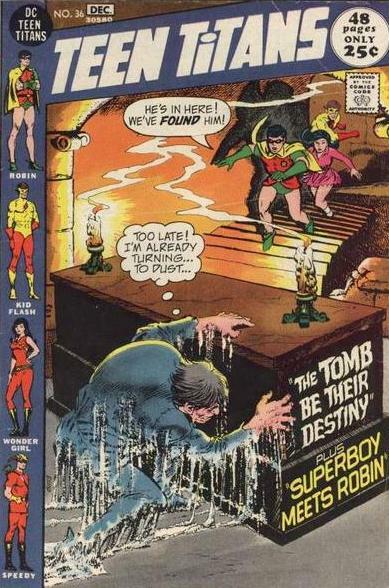 While hindsight paints the stories in a humorous light, the main draw of the original series is the amazing artwork by Nick Cardy, whose work would get better and better over 43 issues. Cardy’s covers alone were worth the price of admission. The stories focused on the big issues of the day, like equal rights and Vietnam. Mal Duncan joined and was one of DC’s first black superheroes. Beast Boy from the Doom Patrol showed up and was curiously rejected because he was too young. The team’s ranks expanded and contracted, but at its heart it was still focused on the core that was initially just Robin, Kid Flash and Aqualad, but had grown to include Speedy and Wonder Girl. The original series can be broken down into three main eras. There was the hipster period, which lasted until #31 and seemed to meander into whatever direction pop culture led it. Then came the supernatural period, which showcased Cardy’s wonderful art and covers and featured any number of other worldly menaces. The series went on hiatus after #43, but started up again nine months later with what was the traditional period — the book became a fairly standard superhero title. It’s easy to see why the book only lasted ten issues after it returned. There was nothing special about it. The cast had been watered down. Hawk and Dove, who had appeared here and there early in the series, showed up more frequently. Mal’s girlfriend debuted up as Bumbleebee. 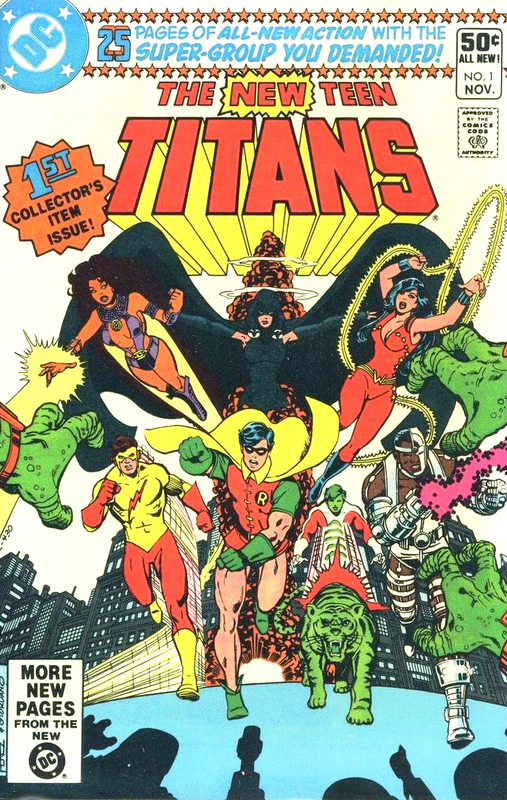 Including guest stars and Titans West, the team was up to 15 members, yet none of them were particularly notable beyond the core five. The traditional period can best be summed up by a new Titan, The Joker’s Daughter (who would soon become The Harlequin). There was nothing appealing about her and she seemed to have been created solely for the purpose of making the Titans matter. Is she really the Joker’s daughter? Or Two-Face’s daughter, as she later claims? Surely this must be important and surely fans will buy every issue to find out the answer, right? As if reading our minds, Speedy dissolves the team, saying that they’ve outgrown the Teen Titans name and should all go off on their own. Oh, and something about them all making each other feel inferior, which was probably just Speedy projecting. When it comes to any team bearing the name “titans,” there is one era that will always stand as the gold standard, both in quality of stories and sales numbers: The Wolfman and Pérez New Teen Titans. Wolfman and Pérez did an awful lot right when they put this book together. They only kept three of the five core team members, dropping the least interesting characters and, for that matter, the two not connected to the most popular Justice League members. 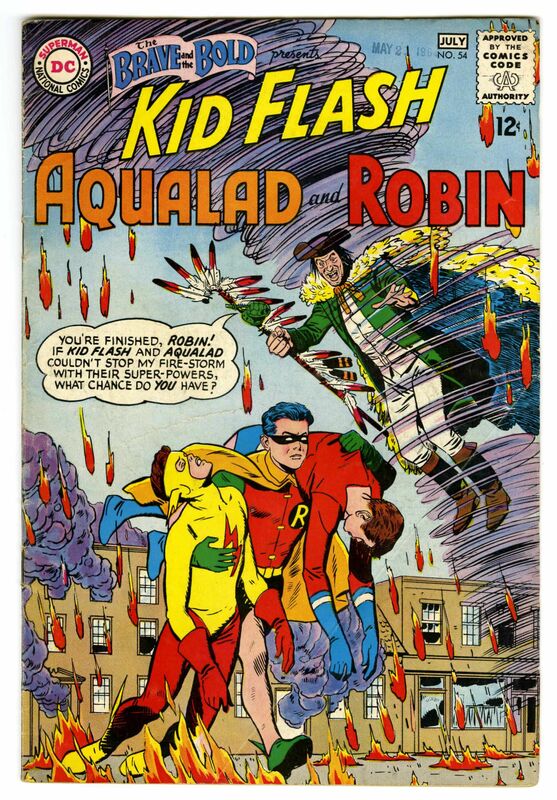 Aqualad and Speedy weren’t as synonymous with their mentors as the others. They also didn’t have much in the way of powers, although that would become less of an issue years later. Wolfman and Pérez deftly expanded the team. They modernized them while still nodding to their history. They expanded the mythology that the Titans could pull from. Beast Boy returned, now called Changeling, and not only connected this team to the past and to another team (the Doom Patrol), but also filled the role of the jokester, a much needed element that had long been missing. The three brand new characters were just about perfect: Cyborg gave the team an unwilling technology expert with a chip on his shoulder. Starfire added a cosmic aspect to the group, opening up the aliens of the DC universe for inclusion in the series. Raven brought in the supernatural, adding the horror element that would have been right at home in the original series. Notice that, of the three new characters, none of them are white guys. For a team in 1980, this was a big step. Keep in mind that just five years earlier, writer Len Wein, under Editor-in-Chief Marv Wolfman, had teamed up with artist Dave Cockrum to recreate the X-Men, launching an “All New, All Different” version that has been the standard ever since. Wolfman’s editor on the New Teen Titans? Len Wein. But just as Wein’s X-Men relaunch wouldn’t have worked without Cockrum’s art, this New Teen Titans series would have died on the vine if not for the dynamic artwork of George Pérez. Pérez is, even today, considered the gold standard for superhero team books. It’s hard to imagine these characters drawn by anyone else. Which, of course, became part of the problem. For many years, New Teen Titans rivaled the X-Men in popularity and sales. Wolfman’s stories seemed to grow organically from the characters, so everything felt connected. 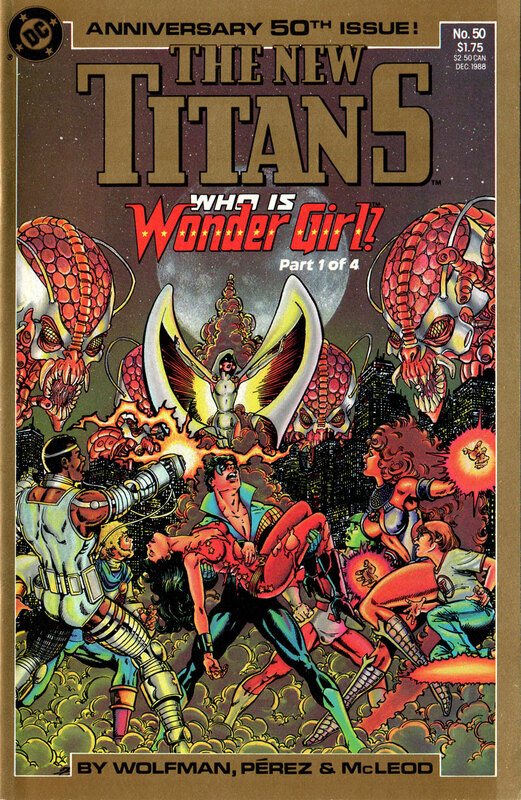 Pérez seemed determined to use the Titans of myth more often than was probably smart (Pérez appeared to be preoccupied with Greek/Roman mythology), but each storyline was unique, yet still a part of the whole. The character dynamics were wonderful. The team had been formed by Raven, who needed them to fight her demonic father, Trigon. But she’d manipulated Kid Flash’s emotions to get him on the team, so Wally spent the better part of the first few years debating whether to stay or go, a decision made all the harder by his desire to hang up the tights and go to college. Starfire and Robin ended up having one of the strangest, most enduring relationships in the DCU — strange in that he’s a “street level” hero dating a space alien. It’s a bizarre wrinkle in the will they/won’t they dynamic Robin had with Batgirl/Oracle. Vic and Gar (Cyborg and Changeling) became their own kind of dynamic duo, with Vic as the straight man to Gar’s funny guy. Vic also had what has to be one of the earliest interracial relationships in comics, although it’s never really overtly portrayed on the page. But Pérez was a superstar, and when DC decided to launch their first major event comic, Crisis on Infinite Earths, they pulled Pérez away from Titans. There were a number of talented fill-in artists, like Jose Garcia-Lopez and Eduardo Barreto. They’re both fantastic, but Pérez’s art had become the standard for the Titans. The book wasn’t the same without him. Well, that’s not entirely true, which was the other problem. The book was very much the same without him in that the line-up hardly ever changed. 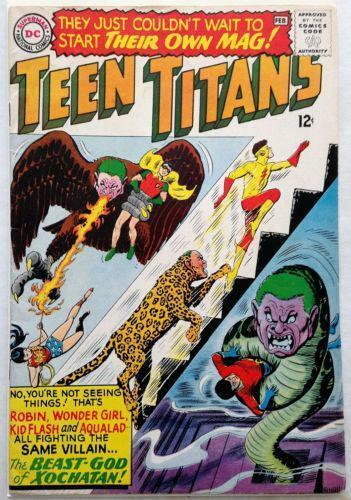 Look at it this way: the first issue of the New Titans (the title would drop the “Teen”) I ever bought was volume 2 #71 (the book was relaunched in 1984 specifically for the direct market, while the newsstand title became Tales of the Teen Titans), the 10 year anniversary of the title. The team consisted of the exact same line-up, minus Kid Flash, plus Jericho. That was it. In an effort to rejuvenate the book, Wolfman (now joined by regular artists Tom Grummet and Al Vey, who did fantastic work) decided to shake up the line-up. Unfortunately, like all great shake-up stories of the ’90s, it spiraled out of control. Comic book fans enjoy structure. They like being able to see a roll call of the team. They like knowing who is who. It’s not that the confusion and mystery built up during “Titans Hunt” was bad, it’s that it was never really resolved. Even by issue #100 (complete with a chromium cover), the team still wasn’t set. And because it was the ’90s, most of the changes involved making the characters darker. Raven went completely bad (which was a storyline that had been done to death). Speedy because Arsenal and you can probably imagine how that looked given the name. Jericho kind of went bad. Cyborg lost his humanity. Changeling turned into a monster. There was even an evil Nightwing from the future called Deathwing. It was relentless. After #100, Tom Grummet and Al Vey left the book and any artistic consistency was gone. The book seemed to tread water until the Zero Hour event came along and they cleaned house. A brand new team took over as of issue #115, but it was really too late by that point. It was a bizarre line-up to start (Green Lantern? Donna Troy as Darkstar? ), and the stories weren’t particularly inspiring. The series lasted another 15 issues before ending with #130 — a rather ignominious end to what had started as one of the most popular comic book series of the day. For those keeping track, after the original Teen Titans series, the team returned in the New Teen Titans and after that it gets a little weird. The series relaunched as New Teen Titans again, while the original New Teen Titans became Tales of the Teen Titans. Tales remained available on newsstands while the new series was one of DC’s first direct market books. Oh, and with issue #50 New Teen Titans (volume 2) became New Titans – I guess the kids had grown up. 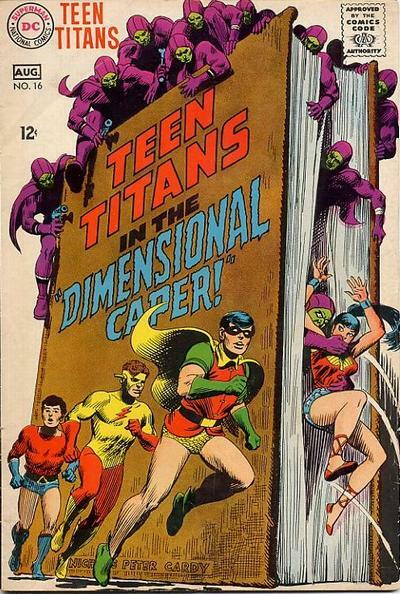 Since the Titans went off the rails there was only one solution: make the book about teenagers again.